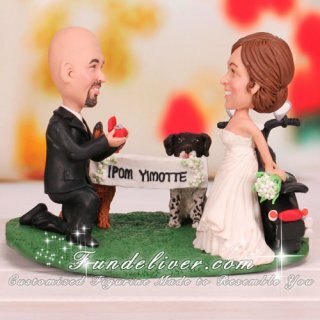 This is a completely customized proposal and engagement theme wedding cake topper ordered by one of our customers. Their wedding planning has followed the theme of “classic with a modern twist.” They have spent nearly every day of the past year planning this ceremony and reception together, and they have both got a vision that centers around keeping the wedding traditional and elegant, but with a young, modern edge. Everything they have planned is tasteful, but not boring. Relatively safe, but with some definite edge and risk. While looking for cake toppers, they wanted something truly unique. Impressed by their story? 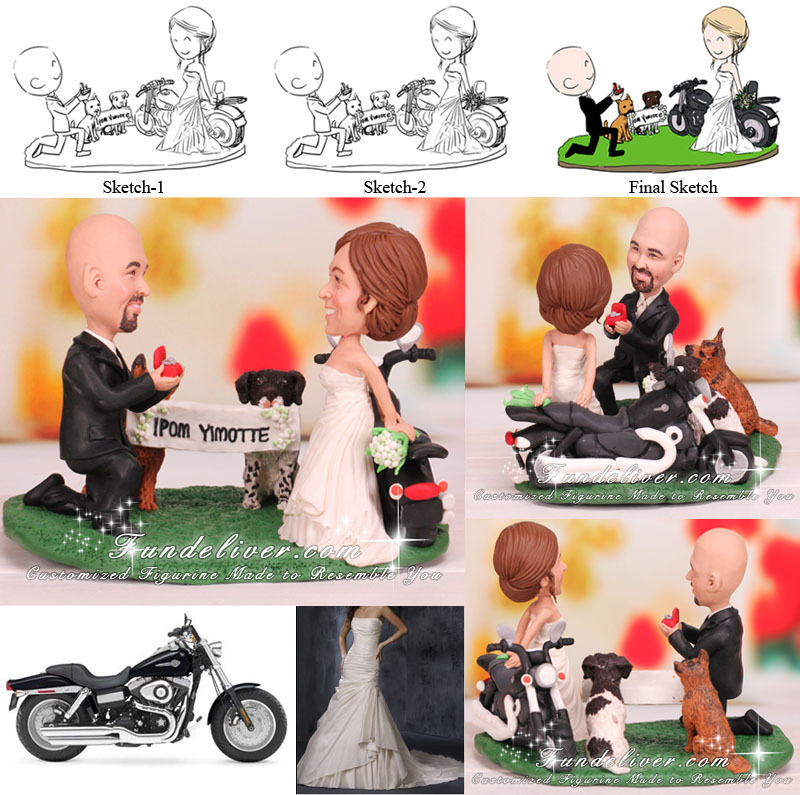 Want to create your proposal wedding cake topper? What is your idea about your engagement cake topper?